Our intensive approach to Project Management Professional (PMP)® exam preparation will ensure your team is fully prepared to sit the PMP® exam successfully. For 4 focused days, your team will receive guidance and knowledge from our experienced, PMP® credentialed trainer. For added support, we include 60 days unlimited access to our online PMP® exam simulator and study materials. When delivering this course for in-company groups, we also offer you the opportunity to focus on areas that may be a challenge for your team, or a priority for your business. What are the Benefits of Choosing PMP® Exam Prep Training? We are a Registered Education Provider (R.E.P.) with the Project Management Institute, Inc (PMI)®. This means that our exam preparation courses have been reviewed by the PMI®, and that we have been approved by the PMI® to deliver project management training. When booking PMP® exam preparation for in-company training with your team, we include 4 days intensive training with an experienced PMP® trainer, online course slides and study materials, A Guide to the Project Management Body of Knowledge (PMBOK® Guide) - Sixth Edition, and 60 days access to our PMP® Exam Simulator. 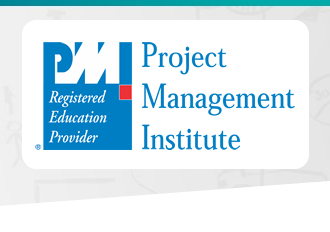 During training, your team will receive guidance on completing the PMI® exam application, and tips for creating an effective study plan. 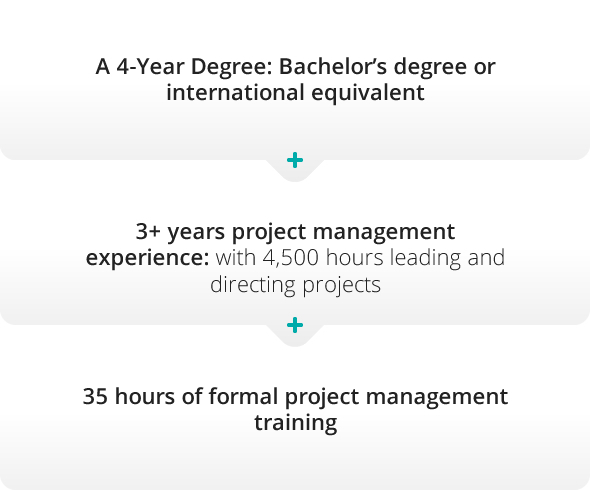 PMP® is known to be a credential for project managers of an exceptional standard. By completing the training and passing the PMP® exam, your team will achieve a level of excellence that will reflect on your business productivity and profitability. 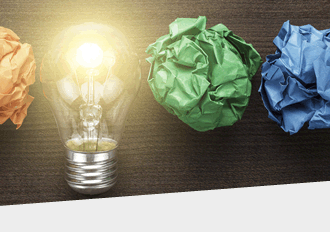 Here, we have outlined what is covered in each module of our PMP® Exam Preparation Course. If you would like to get more details you can instantly download our full course brochure. Is the PMP® Credential Right for Your Team? There are several factors to consider when choosing project management training for your team. When considering PMP® exam preparation, the experience level of the participants will be the main focus. 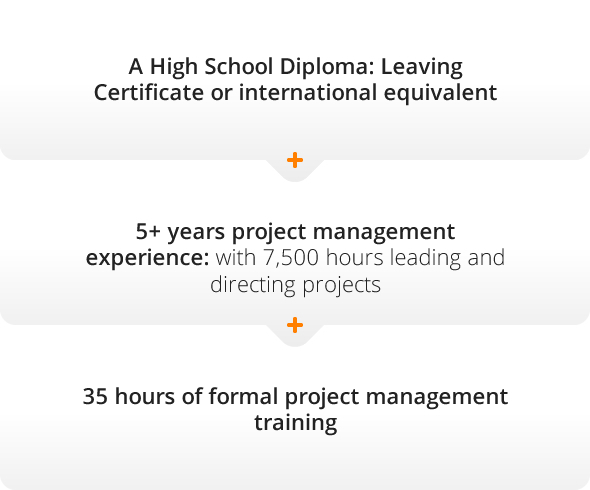 PMP® credential is designed for experienced project managers. Therefore, the PMI® have put certain eligibility requirements in place for exam applicants. If you’re unsure whether your team meet the requirements, we will be happy to offer advice or answer any questions you have. You can reach us by Freephone on 1800 910 810, or click below to ask a question. Why Choose PMP® In-Company Training? 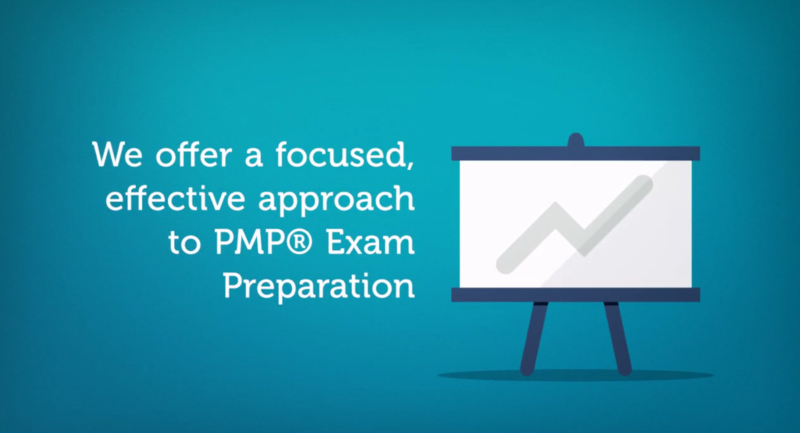 We also offer PMP® exam preparation as a public course, available for individuals to attend. However, if you have several team members that require PMP® exam prep training, our in-company format may be the wisest choice for you. In-company training gives you the ability to schedule training at a time that works best for your schedule. It removes the inconvenience of having to take someone out of their role for training at a busy time. When you have a number of potential candidates for training, in-company can work out as extremely cost-effective. We will come to your premises, or a location chosen by you to deliver the training. This minimises disruption to, and eliminates travel costs for your team. 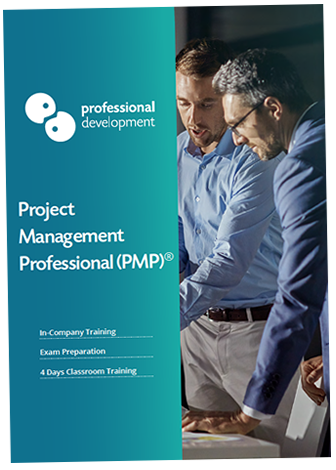 Although the PMP® course syllabus must always be adhered to, we can always take your business and any challenges you are facing into account when delivering the course. We will make the training delivery relevant to your team.